So many of us know that the Zen tradition is named after Dhyana. Which is synonymous with Jhana. I was having a discussion with a (I believe) a Soto practitioner where she noted that in Zazen practice (An open awareness meditation style where eyes are kept open) that they are able to have what she would consider absorption experiences. As much of our traditions literature focuses on the breath or kasina practice in order to bring about the nimitta and then enter into Jhana (Both form Jhanas and formless attainments). Is it possible for their practice to have such experiences as defined in our tradition. Obviously this is a discussion where Dharma Wheel participants *I think I posted there as well* and our own past and present Zen practitioners are encouraged to chime in! Mahayana polemics led to the seeming rejection of jhana, but any time with Zen will reveal an enormous emphasis on ever deepening samadhi that sets the stage for awakening experiences. It would seem that the sectarian differences are merely differences in the use of terms. Christopherxx wrote: Is it possible for their practice to have such experiences as defined in our tradition. Sure. I remember many years ago Ven. Heng Sure commenting about one monk from the CTTB who could sit in jhāna for 5+ hours at a time. And there's the reports of Ven. Xuyun remaining in samādhi for extended periods, once for a period of 18 days, and twice for periods of 9 days each. See An Inquiry into Master Xuyun's Experiences of Long-dwelling in Samādhi. Granted, these are exceptional cases, but jhāna requires a dedicated, refined level of practice. Christopherxx wrote: Obviously this is a discussion where Dharma Wheel participants *I think I posted there as well* and our own past and present Zen practitioners are encouraged to chime in! 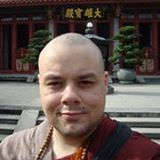 You may want to check out this thread on Dharma Wheel: Are the jhanas taught in zen/chan? Nana it's great to hear from you again! I have had the experience in some settings with Soto Zen where there was something of what I felt to be an aversion to jhana. I did not find in my limited study of Dogen anything resembling dhyana teachings. This is ironic in the sense that 'Zen' derives from 'Chan" which derives from dhyana, but I had a clear sense that Dogen sought to break well free of the traditional samatha-vipassana model and to create or brand his own style of "just sitting" meditation. Others' mileage may vary, as it is said, and it may be true that there are Soto Zen teachers who embrace jhana type meditation, but to a great degree among Soto practitioners I see a lack of implementation of teaching of jhana, toward a more Dogen-ish approach of silent, sitting illumination.... maybe more like a samatha calming approach with an aversion to the active vipassana step. I'm being careful not to sound critical, but only to recite my observations. Christopherxx wrote: Hey gals and guys! to my knowledge and experience part of the practice of zazen is deliberately keeping oneself out of jhana and therefore totally different. it can be likened to vipassana though. zazen is seen as a vehicle all in it's own in the soto tradition, the end all be all method. the open awareness itself is said to be nirvana. as opposed to the theravada approach of jhana, wisdom, and morality. but i'm not positive on that. a GREAT deal of patience is required when reading about or talking about zen meditation. it's all (it almost seems deliberately) shrouded in mystery, there are no step by step instructions (as opposed to our: he enters the first jhana... enters the second jhana... and so on. step by step) it's all extremely vague and varies a huge amount from one teacher to the next, let alone one school to the next (rinzai/soto/etc.). i have dug and dug and dug into this very question over the years directly with teachers and through lots of reading and have yet to come up with an answer i feel is complete. i have never even been able to get what i would call a straight answer out of a zen meditation teacher face to face! they just give vague little hints and tips. like: "eventually the mind shuts off." okay so how does that help me? or i ask: "should i be focusing on my breathing and letting thoughts go?" and the teacher says "no." i say "so what should i do about thoughts?" teacher says "nothing." great, thanks, now i get it .needless to say i'm a little too practical and too in love with structured approaches to really appreciate and enjoy the vague and mysterious zen. however i still find it deeply alluring and very much am still interested in it even if i did "officially" give up on it entirely, especially once i found out how different the zen idea is from what the buddha taught is the definition of samma samadhi (ie: the buddha said it's jhana, and no zen schools teach jhana, ironic since as you said: zen=chan=dhyana=jhana...). however the two may meet on the idea of vipassana. the oft quoted satipatthana sutta talks about non-jhana anapanasati and goes on to discuss other methods and says that these alone can lead to enlightenment. so perhaps this kind of idea is what is passed on in zen? who knows. nonetheless i still find myself reading about zen masters and enjoying quotes from tang dynasty teachers and so on. i'm also very intrigued by zazen and silent illumination. however i had literally zero success in five years or so practicing these methods except for a little peace of mind and relaxation/happy thoughts and with jhana meditation i started having great progress and stunning results very quickly and it just keeps getting better. i feel like i'm missing something about zen meditation... it's so unguided, the idea that it can lead anywhere is so foreign to me. as opposed to the very structured theravada approach. even the satipatthana anapanasati is very structured, complete with a section on how to practice insight on your breathing meditation. whereas soto zazen is just sitting. literally just sitting (actually that is the literal definition of the further version of zazen: shikantaza)! it's mind boggling. Christopherxx wrote: So many of us know that the Zen tradition is named after Dhyana. Which is synonymous with Jhana. By the time the Chan tradition in China developed the term chan 禪 itself was not necessarily strictly associated with the four dhyānas. Generally speaking Zen in Japan, be it Soto or Rinzai, does not pay much attention to how the Buddha described the dhyānas in the Āgama literature. As we know the Buddha described them in detail and taught them throughout his teaching career. However in East Asia the Āgama literature was superseded by Mahāyāna works long before the Chan school came to exist. By that time a lot of indigenous schools like Tiantai were existent with their own takes on meditation. darvki wrote: Mahayana polemics led to the seeming rejection of jhana, but any time with Zen will reveal an enormous emphasis on ever deepening samadhi that sets the stage for awakening experiences. It would seem that the sectarian differences are merely differences in the use of terms. That's not necessarily the case. Early Mahāyāna authors like Nāgārjuna speaks of cultivating dhyāna as a means of facilitating mental stamina for the purposes of realizing emptiness. One main difference lay in that after experiencing the bliss of dhyāna the bodhisattva would hope that all beings could cultivate such experience and be liberated from suffering. Let me just say that Japanese Zen and Chinese Chan, while aware of what dhyāna is, generally believe themselves to possess superior methods. I don't agree with this. I was actually just recently discussing this with a Chan practitioner here in Taiwan who told me in no uncertain terms that there are "superior methods" when it comes to meditation. I was defending my inclination and dedication to dhyāna practice as Śākyamuni Buddha taught it. They insisted that it was far too gradual a method and that their practice was certainly superior. They insist that their version of Chan practice is not limited to quiet environments, but can be practised anywhere and everywhere, especially while carrying out your daily chores (chopping wood or typing on the computer). Nevertheless, my issue with such an attitude is that I've never met anyone that demonstrated they possessed superior wisdom or capacities as a result of such a method. It often strikes me as a kind of mindfulness for guarding the mind against harmful thoughts and emotions, though not comparable to the richness and bliss of dhyāna. I think dhyāna is truly necessary as a means of culling kleśas. As the Abhidharma-kośa-bhāsya by Vasubandhu highlights, dhyāna "opposes" afflictive states and thus they are reduced. From a personal point of view I can clearly understand and appreciate this. In my opinion this is far more compelling and effective than gong'an/ko'an contemplation, or sitting waiting for the mind and body to drop away. I often find Chan unsystematic and baffling. They'll talk about "awakening", but then say one can still fall into the lower realms and regress. In the Mahāyāna context they'll talk about "achieving buddhahood", but then state it is just "temporary" or "a moment" of buddhahood (that doesn't make sense because buddhahood is an irreversible elimination of all afflictions and ignorance). This is in great contrast to other Chinese traditions, particularly in the Tang and earlier which, while indeed Mahāyāna, still provided a systematic and logical general outline for the process of bodhisattvahood and eventual buddhahood without twisting any of the terms. As I mentioned above the early Mahāyāna taught and practised dhyāna. It is through the experience of dhyāna that the bodhisattva truly cultivates compassion for all beings. One key aspect of this is having personal experience of the ārūpya-dhātu (formless realm). Without a point of reference to understand the subtle suffering of beings in that realm, your compassion for them would only be imagined and estimated based on speculation and the testimony of others. To understand their suffering requires one to actually have experience of that realm, which in turn requires dhyāna (specifically withdrawing from the kāma-dhātu and rūpa-dhātu). This is why merely being mindful or contemplating emptiness on an intellectual level won't cut it. 1. The "bodhisattva" in the text is generally assumed to be an advanced practitioner, not an ordinary person. 2. It also mentions that the dhyānas are cultivated before wisdom is attained, whereupon compassion and abilities emerge otherwise unavailable. This essentially means that while a bodhisattva can indeed abide neither in chaotic thoughts nor meditative absorption (transcending both basically), in order to really do that one needs to have mastery of dhyāna. In my experience with Zen and Chan, the second point seems to be often overlooked. The assumption is that anyone can just jump right into rather advanced practices (anything related to emptiness is actually quite advanced, be it intellectual or yogic). It's my impression that so much of what is practiced in the US these days is far more "Zen," or the American new-age post Beat type stuff that has cemented itself well in the practice of Zen, but, to me, is now Zen, but really not so much Buddhism. I have noted in some Zen sanghas almost a reluctance to acknowledge Gautama Buddha, and a suggestion that the Agamas/Nikayas are to be forgotten or ignored. I feel that Zen in the west has evolved, and in doing so, moved further away from the original path and onto a path almost entirely of its own design. The evolution does seem to have root in not early Mahayana, but in later Mahayana, where there seems almost a perjorative attitude taken toward the early teachings of Buddha. What seems to have emerged is a grand tradition of storytelling, with later sutras designed to characterize the Buddha as a god, a mythical deity, a supernatural being. I have the sense that some of the Zen patriarchs were really carving out for themselves new philosophical territories at the expense of what they themselves were taught when they were young monks. Dogen may be just one example of this phenomenon. I note that a few years ago, after sitting sesshin for a few days, all of us sitting, and sitting and sitting, with no instruction and no perspective on the sitting, one of the priests at the zendo, in a private moment, cut loose with " all this sitting is just bulls**t!" I think what he was trying to express was that in Zen, the marathon sessions of silent sitting were not what Buddha taught, and seemed not to be doing much for anyone other than seeing whose knees and backs could withstand the torture the longest. There is such a beauty and strength to Mahayana practice. The bodhisattva ideal is absolutely the proper template for practice in the modern world, and it's my feeling that Gautama himself is still such a strong example of that ideal. Early Mahayana took the traditional practices and in so many ways expanded and energized the teachings, in a very authentic way. Yet, modern Zen may need to be careful that in throwing out the bathwater (the Agamas) it doesn't toss out the baby (Shakyamuni Buddha) as well. BuddhaSoup wrote: what is practiced in the US these days... the American new-age post Beat type stuff that has cemented itself well in the practice of Zen... but really not so much Buddhism. This has tended to be my experience with Zen in the States, as well. It's as if buddha-nature is just supposed to overwhelm the mind when it's quiet enough; incomplete right effort, in any event, but I'm probably under-educated. BuddhaSoup wrote: The bodhisattva ideal is absolutely the proper template for practice in the modern world, and it's my feeling that Gautama himself is still such a strong example of that ideal. I think the gradual training is a far superior template - bodhisattva training isn't buddhavacana when looking at the Nikaya strata, but to each their own. daverupa wrote: I think the gradual training is a far superior template - bodhisattva training isn't buddhavacana when looking at the Nikaya strata, but to each their own. Daverupa, thanks for your comment. I kinda threw in my last sentence the idea that the Bodhisattva path is 'the" path, when I should have said 'a" path. I have understood that the bodhisattva does appear in the Nikayas, but my question is when you speak of the gradual training, what do you mean? I ask this out of curiosity, as I'd like to get your sense of what that gradual training entails. BuddhaSoup wrote: I have understood that the bodhisattva does appear in the Nikayas, but my question is when you speak of the gradual training, what do you mean? I ask this out of curiosity, as I'd like to get your sense of what that gradual training entails. Well, the bodhisatta in the Nikayas tends to be the Samana Gotama; there are some discourses about his training during this period, but it isn't 'bodhisattva-training' such as there is in Mahayana. Training is described in a graduated way, e.g. MN 107, MN 125, et al. MN 70 wrote: "Monks, I do not say that the attainment of gnosis is all at once. Rather, the attainment of gnosis is after gradual training, gradual action, gradual practice. Thanks, Daverupa, for these excellent citations. I had not been exposed to these suttas before, and look forward to reading them. BuddhaSoup wrote: It's my impression that so much of what is practiced in the US these days is far more "Zen," or the American new-age post Beat type stuff that has cemented itself well in the practice of Zen, but, to me, is now Zen, but really not so much Buddhism. I've not had any experience with American Zen. My experience has been in Japan and Taiwan. Of course I've read and heard about American Zen. Regardless, Japanese Zen, like much of the rest of Buddhism there, is a fossil of what it used to be. Japanese Buddhism is largely a hereditary priesthood that is routinely called a "funeral religion" (that means you only call a priest when somebody has died). Buddhism is irrelevant to most of Japanese society. In my experience I also found that a number of Soto Zen priests deny rebirth and karma. Some American Zen figures likewise get their ideas from native Japanese priests who have rejected some of the core teachings of the Buddha. This isn't universal, but these were senior members of the clergy. In modern Chinese Buddhism there is no such revisionism. However, there are still relatively recent baffling ideas about how meditation relates to liberation. They might teach the bodhisattva bhūmis taking immeasurable kalpas to pass through, but then talk about various stages of meditation being equivalent to higher bhūmis though the practitioner is still an ordinary being. They don't really mean the practitioner is at that stage, but nevertheless they say it. Part of the problem perhaps lay in the fact that criticism is disdained and thus critical discussions about doctrine don't seem to happen. The culture seems to be one where people are hesitant to stand up and tell someone outright that they're wrong and talking nonsense (that would be seen as inappropriate, uncouth and a lack of manners). In the context of a lineage especially nobody would challenge their superiors and hence illogical ideas are propagated rather than challenged and revised. In some cases immoral ideas (for instance an eminent teacher supporting the death penalty) are left unchallenged, too. The evolution does seem to have root in not early Mahayana, but in later Mahayana, where there seems almost a perjorative attitude taken toward the early teachings of Buddha. We have to be careful in our understanding of the Mahāyāna. Later Mahāyāna in India was, I think, not as antagonistic towards the Śrāvakayāna teachings as in East Asia. In East Asia come the fifth or sixth century there were almost no proponents of Āgama teachings. However, that didn't stop a lot of authors from crafting imaginary "Hīnayāna" strawmen. In that context it was easy to dismiss the Āgama teachings. What seems to have emerged is a grand tradition of storytelling, with later sutras designed to characterize the Buddha as a god, a mythical deity, a supernatural being. You should bear in mind that the Mahāsāṃghika school, long before any formal Mahāyāna appeared, had thought of the Buddha as a transcendental force (lokottara) rather than as a flesh and blood sage. One good work which details this is The Concept of the Buddha by Venerable Guang Xing. The only problem with this quote is saying they believed in any kind of "omnipotence". I don't believe this was the case.